Japonais at the Mirage is a shining example of a Japanese restaurant. It was a hit in both Chicago and New York City, and it has made splash in Las Vegas as well. Its specialties, Kobe beef grilled over Japanese charcoal, kani nigiri and maple leaf smoked duck are all mouth watering favorites. Japonais at the Mirage is a shining example of a Japanese restaurant. 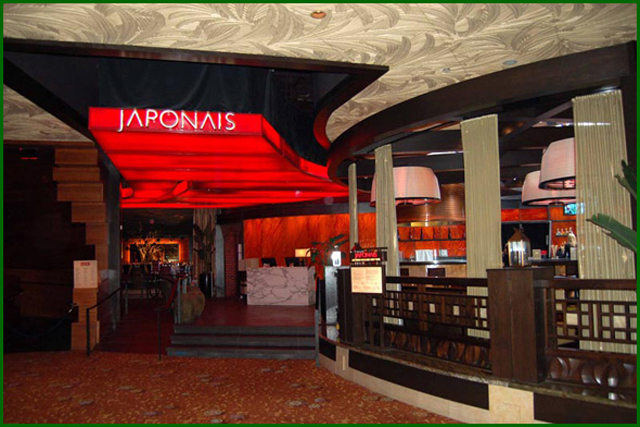 Japonais was a hit in both Chicago and New York City, and it has made splash in Las Vegas as well. Its specialties, Kobe beef grilled over Japanese charcoal, kani nigiri and maple leaf smoked duck are all mouth watering favorites. Japonais' excellence does not end with food, however. It is stunning to the eye as well. The restaurant's foyer made of a glowing red canopy and a slate platform greets diners. The restaurant in 11,000 square feet large and thus can accommodate up to 300 people in a variety of dining spaces. The main dining room is affectionately known as the Red Room and seats 175 diners. There is room for 17 at the L-shaped sushi bar. The marble bar is sleek and refined, like the rest of the restaurant. Japonais also features a lounge and bar, which can hold 100 guests. Guests of the lounge can indulge in sushi while they take in a spectacular view of the Mirage's casino. Nearby is the private dining room with its own bar and perhaps the most stunning piece of furniture in the restaurant: a 15-foot-long table constructed of gold glass. The space was designed to draw people in, the food was perfected to keep t hem there. 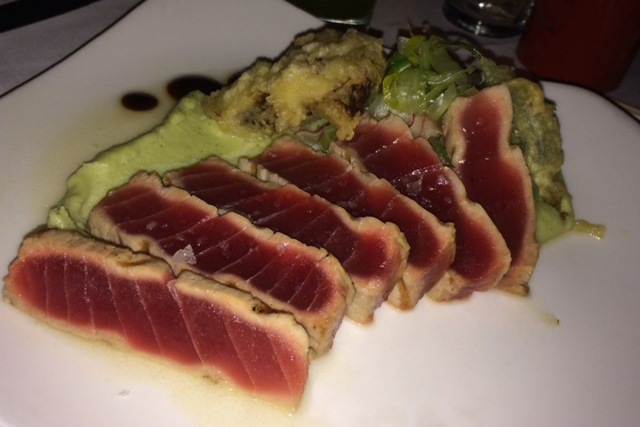 Japonais is a wonderful dining experience for anyone who likes a mix of atmosphere and excellent Japanese food.